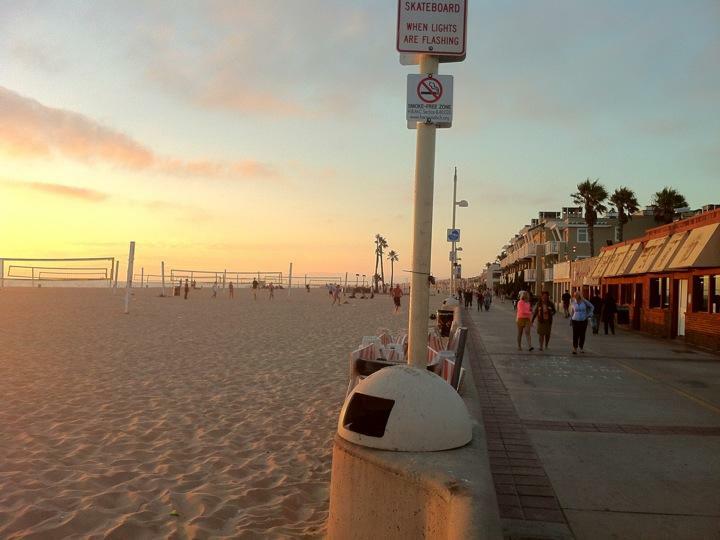 The sun sets over Hermosa beach after a long and positively awesome day. Why is it awesome, you ask? Because I finally saw The Dark Knight Rises! Of all the things I've done and seen on my trip, the epic conclusion to Christopher Nolans Batman trilogy is ranking in as one of the top three. Just in case anyone hasn't seen it yet, I won't write anything about the movie itself other than that it was a very, very worthy successor to The Dark Knight, which say loads! That he actually managed to follow up Heith Ledgers legendary performance as the joker is impressive. Anyways, enough of the movie... But wait, I didn't do that much else today... Went to the cinema at 11, came back out just before 2 and then went around the rest of the galleria for a little while. Walked back to the hostel, still trying to digest the movie and went for a run. Actually bumped into a gang of 'marines in the making' or something when I was out. Was really funny watching buff guys in buzz cuts shouting at teenagers, everyone wearing a t-shirt on which "Marines" was written. Apart from that, LA feels insanely nice after south America. I could probably get used to living here, if I only had a car. The busses are alright here, but the city is freakishly huge! So yeah kids, plan ahead, make sure you've got time and then get a car for LA. It's not a joke, people aren't just American when they say that getting around on busses is troublesome. You NEED a car, just because of the enormous distances. On an completely unrelated note: is anyone up to buy a car and road-trip through the states?